Globe myBusiness continues to help local restaurateurs conquer the digital age. 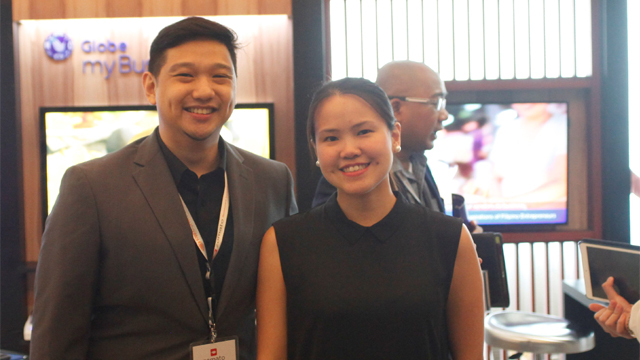 Seeking to address the issues that some restaurants face when building brand and customer engagement in the digital era, Zomato Philippines held its first ever Restaurant Summit on May 19 at the Shangri-la Hotel in Makati City. With the theme ‘Conquering the Digital Age,’ the event gathered business industry leaders, budding and seasoned restaurateurs, and marketing professionals, who shared each other’s insights on how restaurants should keep up with times. "The Internet is so massive; you can find almost everything there. And with the way people rely on it to make decisions such as where to eat, the restaurant industry must take advantage of what technology and social media can do to help their businesses get more visibility in the digital space," Zomato Philippines country manager Anton Ojeda said. The summit was divided into four plenary sessions that covered topics about emotional marketing, investment opportunities, customer loyalty rewards, and integration of technology within the local restaurant industry. There were breakout sessions as well about business sustainability, loyalty of Millennials, food tourism, and evolution of local restaurants. The common goal of each was obviously to lead restaurateurs into the right track amid the digital transformation. One of the main highlights of the conference was the integration of digital solutions in the food and beverage (F&B) sector. Among the featured business solutions was Globe myBusiness’ package for micro, small, and medium-sized enterprises (MSMEs). Globe, through its myBusiness unit, offers a complete marketing suite to scale up entrepreneurs’ businesses in terms of reach and sales. From landline and postpaid mobile plan to broadband and WiFi hub, the network provider has customized packages to address the requirements of local business owners. During the whole-day event, it provided the attendees with one-month free trial of its Website package with broadband and landline. Globe myBusiness even capped the summit by giving away an accumulated P100,000 worth of business startup kit to a lucky restaurateur. The prize includes a smartphone, a tablet, and 24-month free subscription to a designated postpaid plan, broadband and landline services, and special business solutions. "We at Globe myBusiness value opportunities like this where we are able to learn more about our customers and their needs. Here at the Zomato Restaurant Summit, we get to know restaurateurs and at the same time use their stories as inspiration for us to improve our portfolio of solutions. We are more than happy to be every business' trusted adviser, hand-holding them in their journey towards success. This is the perfect venue for us to show restaurateurs about the available solutions that can help them in running their operations, reaching more customers and increasing their sales." said Stephanie Chua, head of business solutions marketing for Globe myBusiness. "We at Globe myBusiness are very happy to be part of this first ever Zomato Restaurant Summit. Each and every entrepreneur here today is our inspiration to continue to develop innovative products and services to enable the success of every SME. All our efforts to inspire entrepreneurship are not only an external drive but are also what we communicate and practice within Globe as well. As a trusted business advisor, Globe myBusiness enables your success by providing a relevant and extensive portfolio of solutions that will help you digitize and grow your business - making you more equipped and competitive in this fast-evolving industry," says Debbie Obias, Vice President for solutions and portfolio management of Globe myBusiness. On the other hand, with the success of its first summit, Zomato Philippines plans to mount more activities and events to make it easier for everyone to decide where and what to eat. "In the advent of fast-changing technology and ever-evolving social media, the industry needs to come up with ways to keep up. 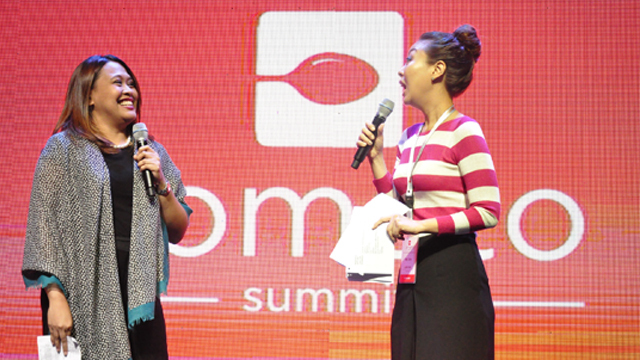 With the summit, Zomato hopes to let the industry know that we are here to lead the sector and help them take their businesses to a whole new level," said Ojeda. Zomato is currently the largest online restaurant finder in the world. It started in 2008 in India and has since expanded globally. It is now in 24 countries and plans to put up presence in more nations. As part of its commitment to inspire success of entrepreneurs, Globe myBusiness provides business owners more opportunities to put their business on the map. Furthermore, Globe myBusiness now offers complete packages—apart from the usual mobile or broadband connections—that include building business websites, marketing tools as well as inventory and asset management systems. In creating personalized business websites, Globe myBusiness offers web pages with complete content and catalogue that will be easily accessed by customers. Apart from that, clients are also offered Google adverts like text advertisements to reach out to a bigger market. Other products and services include Globe Charge, which lets users accept credit card payments via smartphone and tablets; ad blasts; CCTV operations; and Wi-Fi hubs which provide secure internet access that one can offer to customers for more income. To know more about Globe myBusiness products, visit www.mybusiness.globe.com.ph. You can also follow the official Globe myBusiness Facebook page and on Twitter: @GlobemyBusiness or call its dedicated hotlines at (02) 730-1010 in Metro Manila and Luzon, (032) 401-1010 in Visayas and (082) 321-1010 in Mindanao.